Alma Sue's Quilts has quilt kits, Amy Butler and Kaffe Fassett fabric, quilting accessories, and more. 1) Click on the type of item you wish to browse, then click on a specific item for more information. 2) Click "Add to Cart" and your shopping cart will appear. 3) When you "proceed to checkout" you will be taken to Paypal. 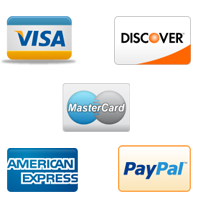 4) YOU DO NOT NEED A PAYPAL ACCOUNT ... ALL YOU NEED IS A CREDIT CARD! Orders of $150.01 or more ... FREE SHIPPING! These quilts, already handmade in our shop in Sarasota, are ready to be shipped directly to you. These ready-to-make quilt kits come in attractive packages that can be shipped directly to you. Take a look at our wide variety of hand embroidery! These carefully crafted gifts are ready to be shipped directly to you!